The "Federal front" proposed by Chief Minister K Chandrasekhar Rao (KCR) has failed, said senior Telangana Congress leader V Hanumantha Rao, adding that Congress president Rahul Gandhi will be the next Prime Minister. People have begun to believe in the party after Rahul Gandhi talked of "NYAY" scheme, the leader said, referring to the minimum income guarantee plan announced by the Congress that will give Rs 72,000 a year to the poorest of the poor if the party is voted to power. "KCR is always talking about federal front which has already failed because people do not believe him. In his meeting at LB stadium, there were barely two to three thousand people. He wants to change the whole system by becoming Prime Minister," the Congress leader said at a public meeting in Hyderabad on Friday. 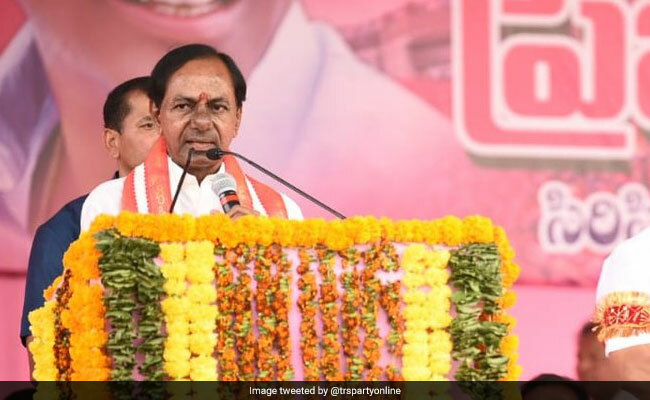 Explaining why people are against KCR and his "Federal Front", Hanumantha Rao said, "He (KCR) thinks it is Ramadan, Christmas and Dussehra festival season that people will come for his biryani and sarees. But it is not that season. KCR should think about it." He further added weight to his argument by claiming that Telangana has turned against KCR because he did not make Harish Rao a minister and made his son KT Rama Rao (KTR) the party president. All the 17 Lok Sabha seats in Telangana will go to polls in the first phase of the Lok Sabha elections on April 11. The results will be declared on May 23.